I also read a single short story: "Twentieth Century Ghosts" by Joe Hill. Since I don't feel like I have the time to slot in a spooky or atmospheric book for fall, I decided to just read this old favorite ghost story from Joe Hill's first book. It's creepy without being terrifying, which is just about perfect for me. 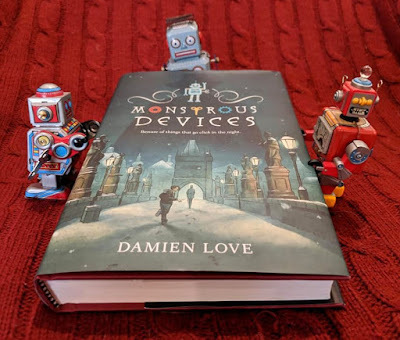 My review of Monstrous Devices is due tomorrow and I'm only 90 pages in but so far it's a terrific adventure (middle grade). I'll have to read hard to finish it today, though. I can't remember what compelled me to pluck The Third Level off the shelves, but it's one of only two Jack Finney books (short stories, in this case) I know of that I haven't gotten around to reading. Jack Finney is one of my all-time favorite authors. I've read two short stories and they were both amazing. In the title story, "The Third Level", the narrator gets lost in Grand Central Station and discovers an unexpected underground level that has led him into the 19th century, where he tries to buy a train ticket to Galesburg, Illinois. But, his modern money is considered suspicious, so he's unable to buy the ticket and wanders through the station till he returns to the present time. I hardly touched D-Day and only read the prologue and first chapter of Marilla of Green Gables, but both are great, so far, and I only set them aside because two of the books I've recently read were time sensitive (one a tour book, one just recently published). 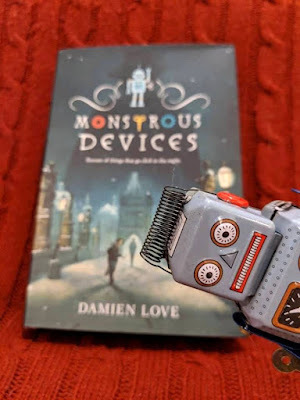 After Monstrous Devices, I think I only have one book tour coming up and that's not till the 15th of November, so I should be able to enjoy finishing the books I've started. 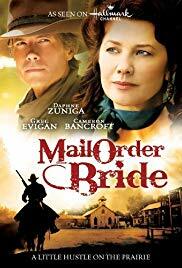 Mail Order Bride starring Daphne Zuniga and Cameron Bancroft is about a woman who steals $10,000 and then takes the place of her friend, who has been writing to a rancher and planned to marry him but passed away. Diana has been forced to work for a con man since she picked his pocket while still young. Seeing an opportunity to get away, she steals from a man who has just won a large sum of money and takes her friend's place as a mail order bride. But, it's hard to stop her thieving ways and she isn't sure the ranching life is right for her. Will she move on to San Francisco or stay with Beau? 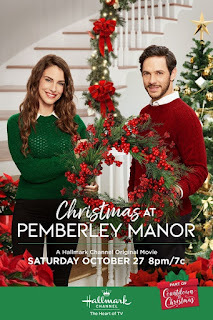 Christmas at Pemberley Manor is new for the fall season and I saw people live-tweeting about it on Saturday. It sounded fun. Elizabeth Bennett works behind the scenes as an event planner. She's very organized, always keeping her events in separate colored binders. When she's asked by an old friend, George, to plan the Christmas Festival in the town where he is now mayor, she does the planning herself instead of staying behind the scenes. But, then disaster strikes. Now, the festival can't be held where she'd originally planned. William Darcy has inherited his aunt and uncle's mansion, Pemberley Manor, but the board of directors for his company is planning to sell the home and tear it down to build condos. The house has sat empty for years and he's decided to return for a few days to the place he most enjoyed holidays, before saying goodbye to the house forever. When the local town festival's planned location falls through, Elizabeth finds a way to convince Mr. Darcy to let her hold the festival on the grounds of Pemberley Manor. But, then Elizabeth's boss, Caroline Bingley, finds out Elizabeth has a connection to William Darcy, whom she's been trying to persuade to become one of her clients for years. When Caroline takes over the planning, Elizabeth no longer has an excuse to spend so much time with William. Will the spark between them die? I loved both movies because they're pure escapism and that was exactly what I needed. 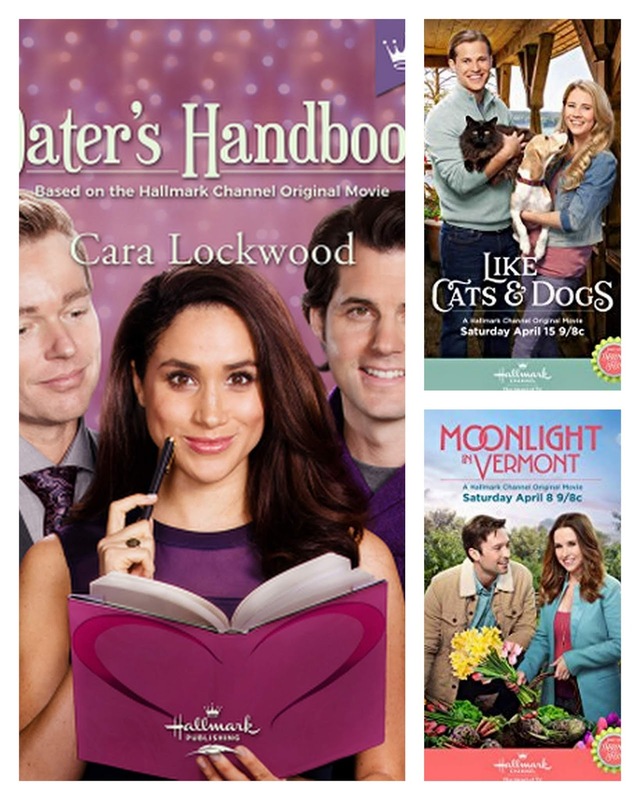 The Hallmark Channel is definitely my panacea for a sad news week. 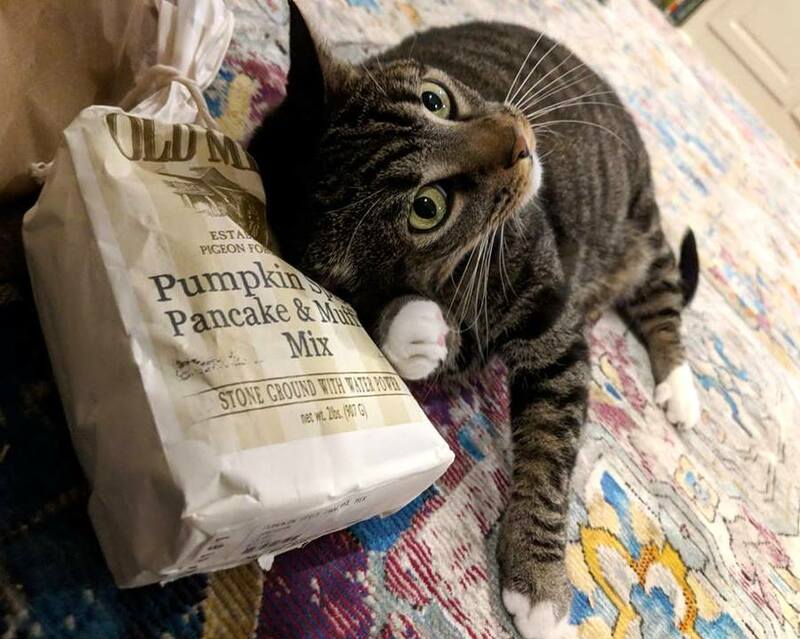 "O, Pumpkin Spice Pancake and Muffin Mix, how I love you." 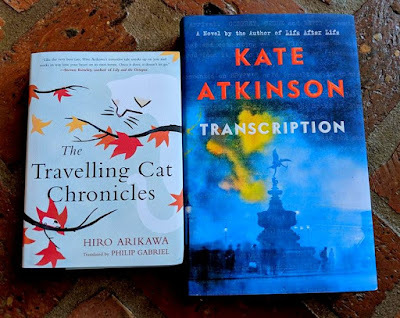 The Travelling Cat Chronicles by Hiro Arikawa is the story of a cat with a crooked tale and the human who loves him, Satoru Miyawaki, told from both of their viewpoints. 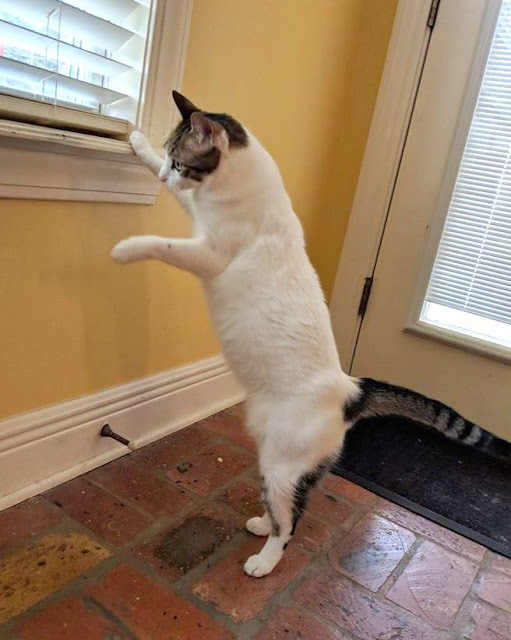 Nana is a white cat with coloring on his forehead in the shape of the number 8 and a black tail that looks like the number 7 (after which he's named). He begins his life as a stray who has a particular affection for a silver van that parks in his territory. When it arrives, the hood is warm and comfy; and, it catches the warmth of the sun later in the day. Nana is proud and scrappy. He likes his life on the street. Satoru is a cat lover who had a cat much like Nana, as a child. He's able to feed the cat and stroke him a little but can't coax the cat to go home with him. But, one day Nana is injured. Satoru takes him to a vet to be treated and from then on, Nana becomes his companion and family. Nana adjusts to life indoors and lives with Satoru for five years. Then, one day Satoru explains that he has to find Nana a new home and this is where their travels begin. Satoru has a friend who has agreed to take in Nana and they travel to Kosuke's home. But, Satoru adores Nana and will only leave him if he feels he's found the right person for Nana to live with and he's not satisfied. They continue traveling, looking for the perfect new home for Nana. I had a little trouble getting into The Travelling Cat Chronicles because of the premise. For much of the first half of the book, I confess I was kind of irritated that Satoru was parting with his beloved cat. What could possibly compel him to do so? I was just a little angry that he was doing such a terrible thing. And, then, about halfway into the book I figured it out. Shortly after that, the author began to drop hints and I thought, "Oh, no, this book is going to break my heart." I was so impressed, though. It could have been deeply depressing but it's uplifting and bittersweet and just flat beautiful. 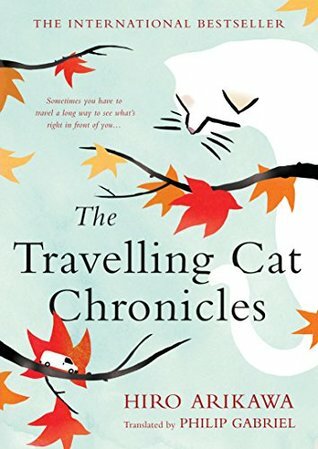 Highly recommended - I've read a couple Japanese cat stories that were horribly sad but The Travelling Cat Chronicles is the opposite. It's hopeful, heartwarming, and meaningful. 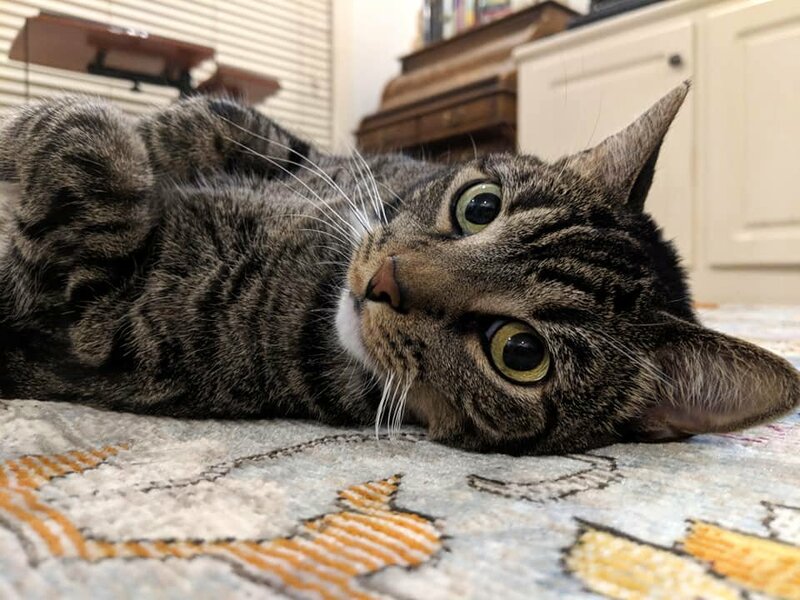 It reflects the deeper truth of what it is like to have a cat who is not just a pet but family and the startling love they return. A wonderful book that I recommend to anyone but especially to cat lovers. 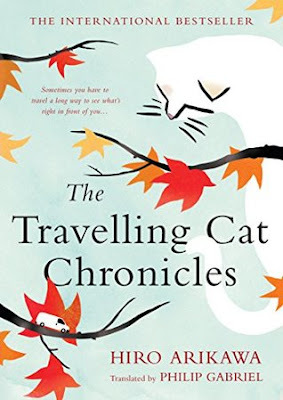 I wanted to write about The Travelling Cat Chronicles immediately because I was so deeply moved, so Fiona Friday has been shifted to Saturday, for this week. 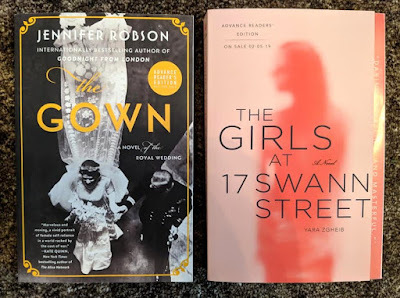 I don't feel like I have a great deal to say about these two books and I need to do some catch-up, so I'm going to go ahead and give them the mini review treatment. 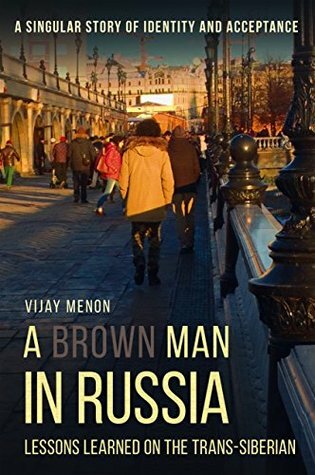 A Brown Man in Russia: Lessons Learned on the Trans-Siberian is the memoir of a young American of Indian descent who traveled to Russia with two of his friends. Vijay Menon works in the tech industry and decided early on that he wanted to travel widely. Because he grew up in an affluent family and has had jobs that pay well, he's already traveled quite extensively. The book mostly focuses on the trip to Russia and how he and his friends occasionally got pleasantly lost or had trouble finding their way to their destinations, the people they encountered along the way, and the occasional mistakes they made. A Brown Man in Russia is very entertaining. In between chapters on their adventures, Menon occasionally will wax philosophical, giving advice or simply describing his world views. You could call it a tiny bit preachy, but I thought it was a little preachy in a good way (probably because we are in agreement, most of the time). There was only one thing I really disliked about this book and that was the vocabulary. It sounds like Menon wrote with a thesaurus on his lap. If he talks the way he writes (which is hard to imagine), his vocabulary is lofty. It just comes off as if he's trying to sound impressive. I opted to overlook that and just enjoy the book, but it occasionally bothered me enough that I marked a passage, for example: the use of "postprandial" and other long words to describe feeling full and satisfied after lunch. Just unnecessary. I think it's also worth mentioning that this is the second book I've read recently by Glagoslav Publications (a publisher that mostly publishes works in translation) in which pages fell out as I was reading the book. I wrote to ask if anything is being done about the binding issue, since it's happened more than once, and did not hear back from the publicist. I've read books by Glagoslav in the past and not had that problem, so hopefully it was a temporary fluke. UPDATE: I received a reply about the binding problem and apparently an earlier reply went into my spam box. The publicist has asked for photos of the binding issue to forward to the printer as she considers it a very serious problem. I will do that, ASAP, and presume that the problem will be attended to. Apologies to Glagoslav for not seeing that response before I wrote my review. 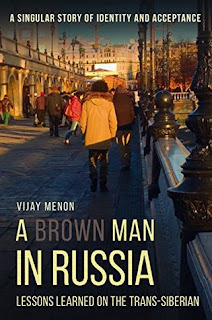 Recommended but not a favorite - It's a shame that the writing in A Brown Man in Russia is so pompous because otherwise it's a great little book. I enjoyed reading about the author's adventures and even enjoyed it when he pontificated about his personal beliefs about travel and other topics. The writing style makes for slow reading, but that didn't bother me and I'm glad I read it. 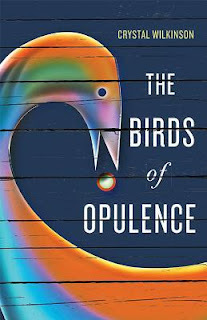 The Birds of Opulence by Crystal Wilkinson was the first selection of the Open Canon Book Club (which has a Facebook site as well as a website, easy to find by googling the name) and I enjoyed it so much that I'll probably end up recommending it to my book group. Opulence is the name of a town but I can't remember whether it's in North Carolina or some other Southern state, since I read it over a month ago. The Birds of Opulence tells the story of several generations of women who live in Opulence, most of them family, the others friends of that family. There's not much plot to The Birds of Opulence. I would call it a quiet novel, a short but intense family saga. It starts with a woman giving birth in a vegetable patch and then a widowed neighbor giving birth shortly after. The mother who gives birth in the family's garden is disinterested in her child and has trouble even getting out of bed. These glimpses of depression prove to be merely the start of a long life of mental illness that is kept under control by the support of her family. Gradually, each of the women's stories unfold and the two babies grow and have children of their own. Eventually, the women begin passing away and the book closes with the thoughts of the one man who was always surrounded by the women and there for them, a loving and faithful presence from the time he entered the family. Highly recommended - The Birds of Opulence is a beautiful, heart-rending, poetic novel of family and mental illness. I was not quite finished with the book when Crystal Wilkinson did a Q/A session with the group, but I saved the entire question/answer session (which was done on Facebook) and returned to it when I finished. I really enjoyed reading what she had to say about the writing process and the characters. I would definitely recommend The Birds of Opulence for discussion. I read and reviewed News of the World when it was a new release and was amazed by the utter perfection -- not a word out of place, enough information but not too much, plenty of action mixed with tenderness, gorgeous language, great characters. I felt the same when I reread it and found myself highlighting particularly marvelous sentences. I'll tell you what the group thought, in a bit. 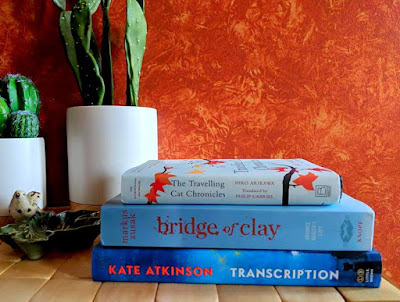 The reminder of what a perfect little book News of the World is has me thinking about other perfect little books, lately. I've been dredging my memory to try to remember other titles that I've read in the past and thinking I may need to start a shelf specifically dedicated to the most flawless small masterpieces I can find. Suggestions are welcome. Another one I thought of is Mad Boy by Nick Arvin. 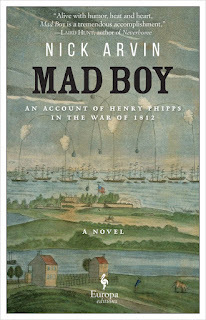 I reviewed Mad Boy, here. It's a fairly short book but it's absolutely brilliant with surprising and well-rounded characters, a marvelous and unusual setting, a clever plot, and phenomenal writing. 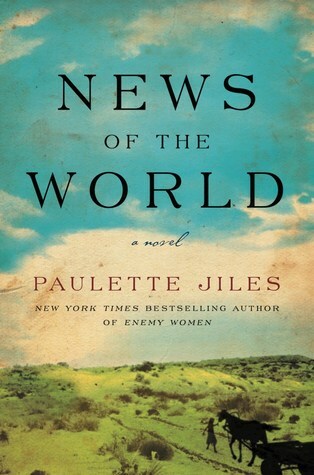 As to the F2F meeting, everyone loved News of the World and it turned out to be an excellent discussion book (thank goodness, since it was my recommendation). Knowing what would happen didn't ruin it in any way, so it's a good one for reading repeatedly. We talked about the Captain's history, what it must have been like living as a captive of Native Americans, why the former captive, Johanna, didn't want to leave the Kiowa Indians, why she left her doll at the river, the reason she never tried to return to the Kiowa after her one attempt to run away, why the Captain made his choice in the end (spoiler), the ending, the quality of writing, and what a perfect little book it was. I was not alone in feeling that News of the World was "a gem". For such a short book, it generated a fine discussion and I definitely recommend it as a group selection. 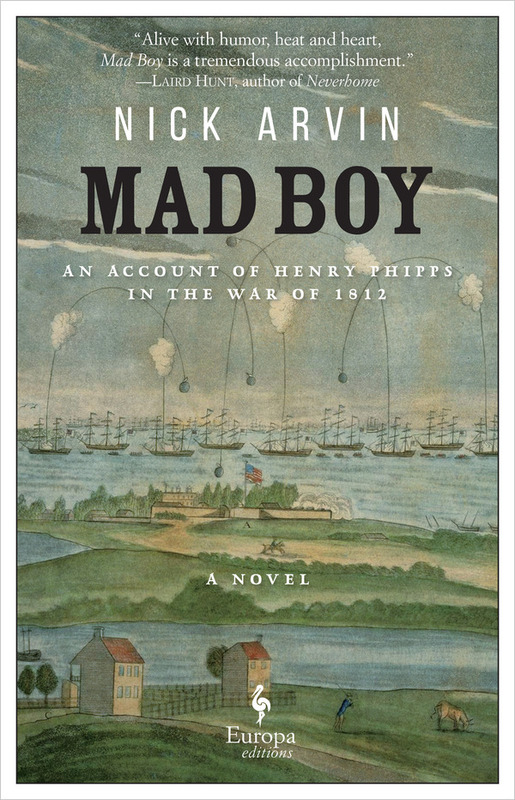 I think Mad Boy would be a great discussion book, as well, so I'll probably recommend that in 2019. 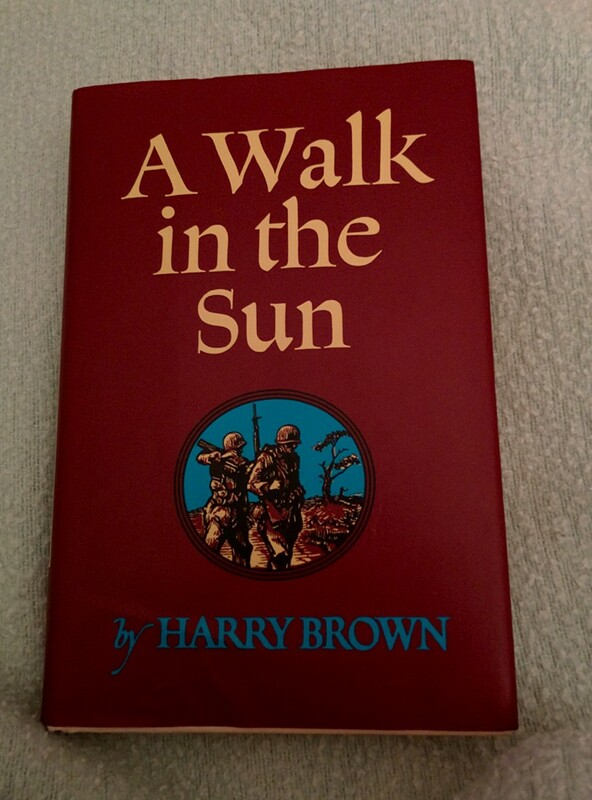 A Walk in the Sun by Harry Brown is yet another perfect little book that just popped into my head. I reviewed it a little over 2 years ago and it has stuck with me for its impact, its brilliance, and the fact that it packed so much emotion in such a small space. 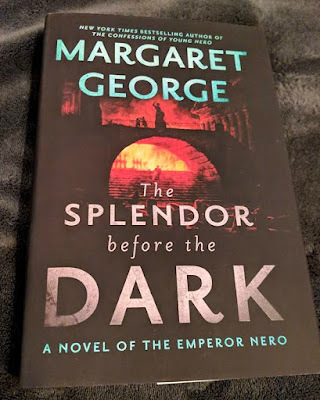 When I say "perfect little book," I mean a book that is beautifully written, in which you get to know the characters very well, that's well-plotted but short at around 200 pages (give or take about 50). I've decided searching for that kind of read -- short but exceptional -- will be one of my goals in 2019. Anyone have recommendations? The Birch family is finally spending Christmas together, after years of doctor Olivia's far-flung travels keeping her away. But, the time together is a requirement as Olivia has been spent several months treating patients suffering from a dangerous illness in Liberia and she is obligated to spend a week in quarantine. The family will stay at the crumbling estate inherited from mother Emma's family, Weyfield Hall. Andrew, the father of the family, is a restaurant critic who has never quite gotten over having to give up life as a war correspondent when his first child was born. He spends his days hiding in the smoking room, writing scathing reviews, and dithering about whether or not to reply to the young American man who wants to meet him . . . an unknown son, conceived during a single night of infidelity that he'd forgotten about till recently. Will Andrew reply to Jesse? When Jesse shows up in England, will he get a chance to meet his biological father or go home disappointed? Emma has gotten some terrible health news but she doesn't want to ruin the holiday, so she's flitting about, keeping herself calm by feeding everyone, and only sharing her fears with her closest friend. She is happiest at her family's estate, shabby as it has become. Will Emma be able to keep her secret throughout the holiday? Phoebe has just gotten a proposal from her boyfriend, finally, after years of dating. But, the ring is just so not her. While Phoebe spends her time flipping through wedding magazines and thinking through plans, the little things that she and her fiancé don't see eye-to-eye on are beginning to slowly pile up. Is George even the right man for her? 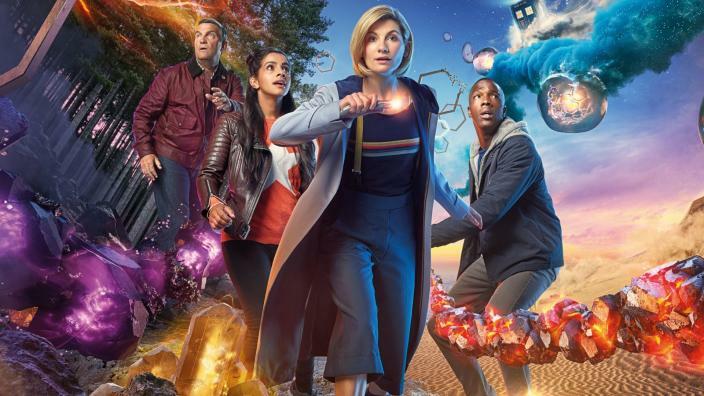 And, Olivia has fallen in love but feels obligated to keep her relationship secret because she and the other doctor, Sean, have broken the critical "No-Touch" rule that keeps them safe from transferring the disease, should one of them fall ill. When Sean comes down with the deadly virus and becomes a national news story, Olivia becomes obsessed with the news, writing emails he won't see until he's out of danger, and blogging in defense of him. When Olivia begins to fall ill, what will happen? Will Sean survive? As each of the Birch's little bubbles collide and two unexpected guests come crashing into their week of quarantine with no choice but to stay, the Birches find that they must face up to the necessity of listening to each other and breaking free from their own obsessions. In the process, they will also discover things they have in common and the importance of banding together. Highly recommended - There was only one thing I truly disliked about Seven Days of Us. It's a spoiler, and it's a plot point that others might find tolerable because it is, in fact, realistic. Otherwise, I absolutely loved Seven Days of Us. It is a little on the fluffy side but with some serious challenges facing each of the family members. They're all flawed and believable, if a bit cliché. I liked the fact that there were people to love, times you wanted to shake a character, and at least one character you who got what he deserved. I found the book utterly compelling -- to the point that I had trouble putting it down at night and couldn't wait to pick it back up, the next day. It's nearly 400 pages, but I blew threw it quickly (in two days, which is quick for me) and really enjoyed every minute. While it's set during the Christmas holiday and gives you a nice feel for Christmas in a small family that's forced to be locked away, it's less a Christmas novel than a family drama. 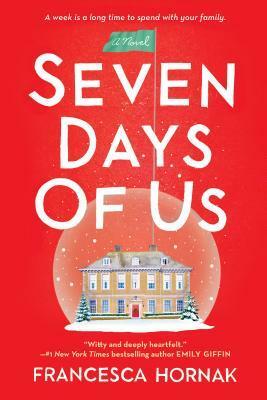 I was totally swept away by Seven Days of Us and will be looking for more by Francesca Hornak. Only one book, this week. 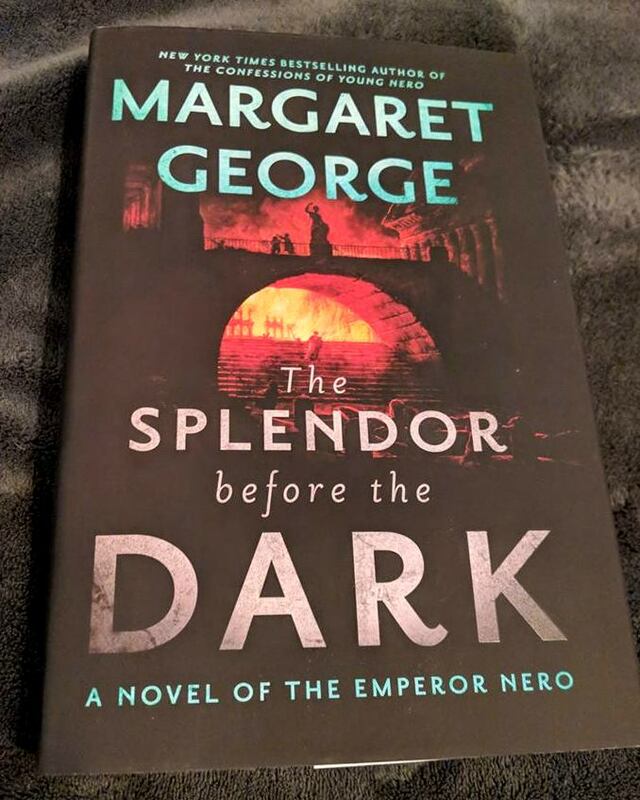 It's the second in a series and I have not read the first, so I'm hoping I won't have any trouble picking up with Emperor Nero's life in the middle. Another hodge-podge week. News of the World (link below) centers on WWII events, Hey, Kiddo is a graphic memoir, Seven Days of Us is a story about a family that's quarantined around Christmas and how being forced together alters their perceptions of each other. So far, I'm really enjoying both of these, although I started both yesterday and haven't gotten far into either. I like the fact that D-Day (which is a Scholastic book and therefore aimed at youngsters) is packed with photos, charts, and maps. No other news. I watched Poldark and The Durrells in Corfu, but just about nothing else, this week. [...] Every heart had belonged to someone, somewhere. Lenny had seen films about it, but there were those who were actually present, those whose cries tore the air, whose bones are in earth, turning every thousand years. Those whose lives we still touch through the sadness of beautiful things. A young family's house burns and they have no insurance, but an anonymous neighbor mysteriously offers to replace it. A man becomes almost paralyzed with depression but when he's reminded of a special memento, he realizes he must fulfill a childhood dream. When a boxer is mugged, it becomes a surprising opportunity to help turn the mugger's life around. In The Sadness of Beautiful Things, the contrast between tragedy and beauty is illuminated in simple, gorgeous prose. 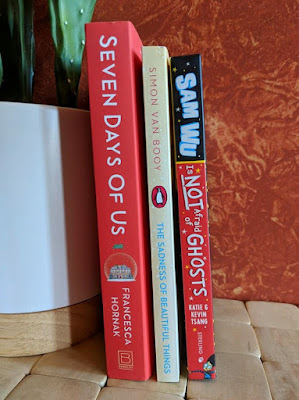 I always take longer than I want to to review Simon Van Booy's new books because I have to read them two or three times, before I can write about them. The first time I just soak up the beauty of his words. The second time, I let myself mark favorite passages. 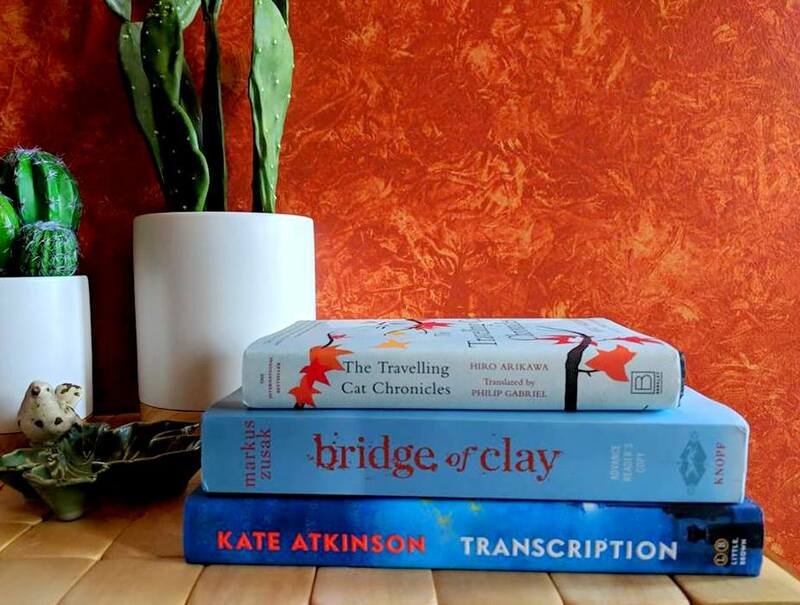 If there's a third time, it's usually just because I can't bear to put the book on the shelf, yet, and want to experience the stories one last time. And, then, of course I return to his books when I need to immerse myself in something wondrous. Once again, the pattern held and I read the new book twice. 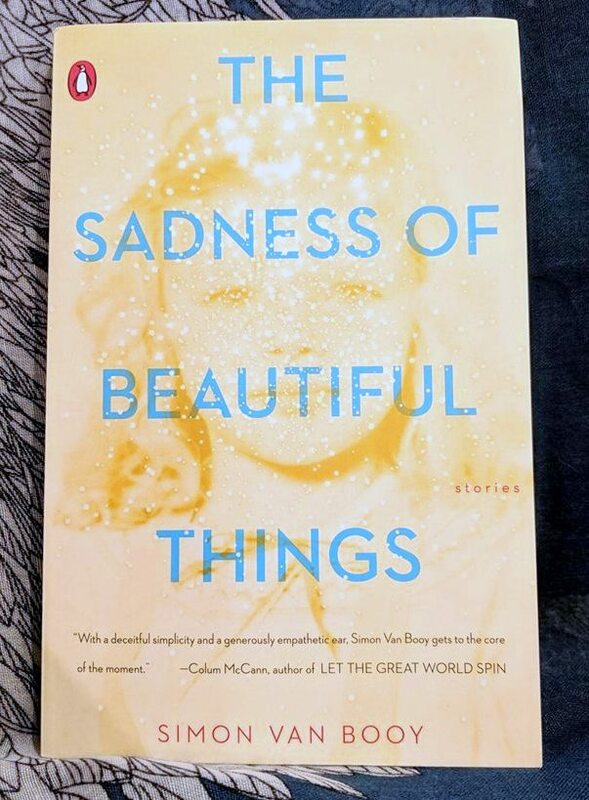 The Sadness of Beautiful Things is a collection of short stories (one of which may come close to being novella length, although I can't say for sure) that are written in his typical prose: few words, but with impact and a unique rhythm that is quickly recognizable if you've read any of his previous books. From the title, you can tell that each of the stories delves into real life, the highs and lows, how things can be both beautiful and horrible at the same time, like snow falling on an accident site. Most of the stories in The Sadness of Beautiful Things are based on true stories that were told to the author. 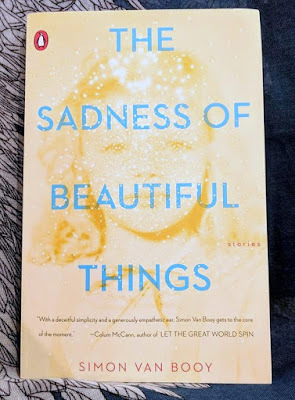 Highly recommended - As usual, I have some particular favorites, but I always fall in love with Simon Van Booy's short stories and The Sadness of Beautiful Things is yet another wonderful volume that I'll place on the good shelves and return to many times. The Delasalle family has lived through 4 years of Nazi occupation in Normandy. When the day of liberation comes, tragedy strikes. Told through the eyes of a number of different family members, News of Our Loved Ones describes what happens to the Delasalle family in June of 1944. I don't want to give away any of the details of this story because I liked the way it unfolded, although it could be confusing, at times, and the sheer quantity of viewpoints makes it feel very disjointed. In spite of that, everything comes together in the end in a satisfying way. So, instead, I'll talk about the stylistic choices. News of Our Loved Ones feels more like an interconnecting set of related stories than a novel, at least to me. I noticed that parts of the story have been previously published, so my gut feeling that it was written as separate parts and then cobbled together may be somewhat supported by the fact that bits of it have been published separately. I tend to dislike this particular type of novel, but because it's a WWII story, there was no way I was going to give up on it without finishing. In spite of it being doled out the way it was, the prose is magnetic and the author has a way of making you feel like you're looking through a window at times, at other times planted in a character's shoes. Regardless, it was enough to glue me to the pages. I had to know what happened to each of the characters. 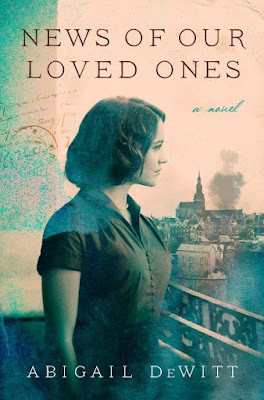 Geneviève's youngest daughter, Polly, becomes obsessed with the stories she hears about the war, believing they are the key to understanding her mother and the conflicting cultures shaping her life. Moving back and forth in time and told from varying points of view, News of Our Loved Ones explores the way family histories are shared and illuminates the power of storytelling to understand the past and who we are. 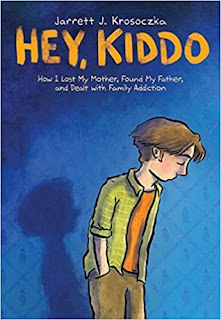 Recommended - The writing is what wins the day in News of Our Loved Ones. It's incredibly vivid, enough so that I gasped at least once and felt caught up in the emotions of the characters. However, I didn't love the disjointed sensation and the feeling that the author was holding out on me, telling the story in such slow drips that I couldn't read fast enough. 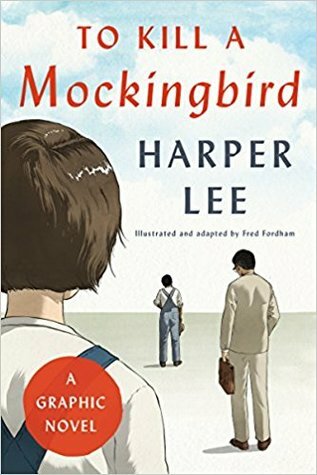 I wanted to fully understand the characters and what had happened to each of them, but had the book not been a WWII story, I probably would have given up on it in spite of the exceptional prose. If multiple viewpoints tend to make you want to pull your hair out, you might want to skip this one. But, it's a moving story that tells about the Allied invasion from an unusual angle, everything makes sense in the end, and it is stunningly told. So, if you aren't bothered by a fragmented sensation that makes you feel like there are a few too many pieces of the puzzle left out for maybe a bit too long, News of Our Loved Ones is really a marvelous piece of literature. I was in Illinois for my nephew's wedding, this past weekend, and too tired for Malarkey. So, Tuesday Twaddle it is. The Last Ballad was so good it was hard to put down. Beautiful storytelling. This was my second reading of The Sadness of Beautiful Things. Also, beautiful writing, of course, but I prefer to read short story collections slowly and let each story roll around in my head for a bit before moving on to the next. I hope to get Beautiful Things reviewed as quickly as possible. 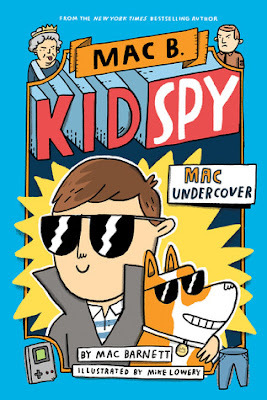 I loved it so much that I wish I had time for a third reading (always true of Simon's books). I've just started rereading News of the World for F2F group discussion -- a bit last-minute, but fortunately the book is short. I also read the intro to 1968 by Richard Vinen but I think I'm going to set that aside and read a book about D-Day, instead. I'll decide tonight. 1968 offers a unique perspective on the time period -- more of a world view rather than a strictly American look at the happenings during and around the year 1968. I'm just not sure it's what I'm in the mood to read, but if I set it aside it will only be temporary. Yes, just one post. I was too bent on getting ready for my weekend trip to give much thought to the blog, last week. I love weddings. We arrived in Bloomington, Illinois to snow -- just flurries -- and that alone was a thrill for us. I think that's the earliest snowfall I've ever experienced. Prior to this snow (on the 12th), our earliest snow experience was on Halloween, when we lived in Michigan. The greeter at the airport gate said, "Welcome to snow!" I think she was just as surprised as we were. The wedding was held outdoors, in the evening, and it was probably in the 40s outside. Amazingly, the bride wore a sleeveless dress without a jacket. Blankets were available for guests. It was a truly unique and beautiful wedding. 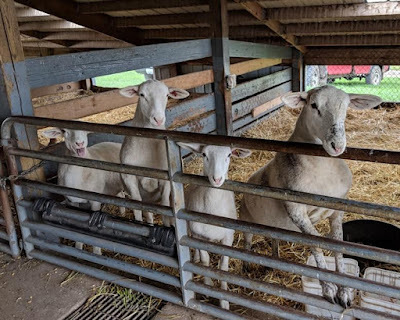 We went to a farm with apples, pumpkins, some farm animals, a play area, a ride and a slide for the kiddies. It would have been a great place to take the grandchild if she'd been with us. We also went to LaSalle, where we took a boat ride on a canal. 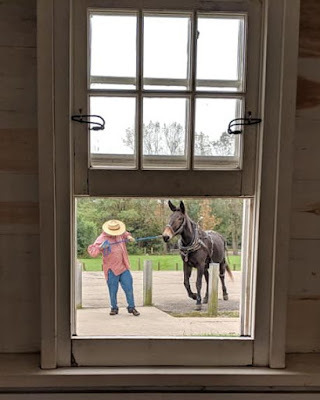 The boat is pulled by a mule. Well, that was quite an experience! We enjoyed it immensely. 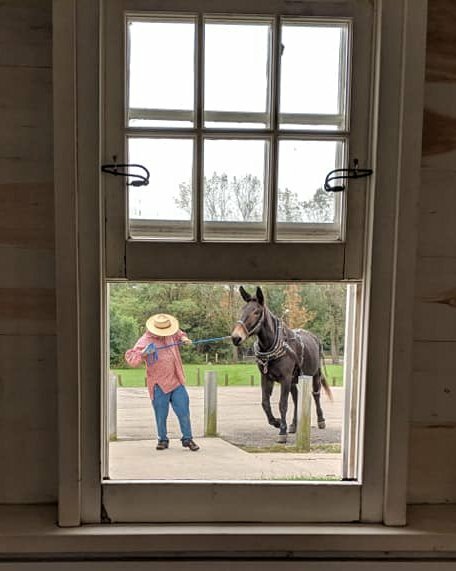 I loved the historical information we learned from the crew and I had no idea that a mule is a cross between a horse and a donkey. How'd I survive half a century without knowing that? This is my favorite photo, from inside the boat before the mule was hooked up and took us for a gentle ride. Yes, they really are stubborn. 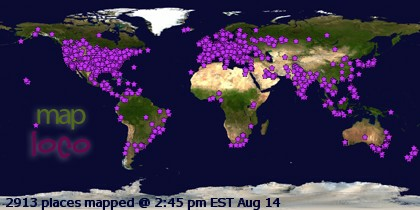 Funny, last week all the covers were shades of blue; this week they've all got red in them. It's like they're arriving thematically. I've already read The Sadness of Beautiful Things, of course, and am dying to give it a second go. I'll likely reread the first story, tonight. I've also read Sam Wu is Not Afraid of Ghosts. The last title, Seven Days of Us, is an October tour book but it's a Christmas story so I get a jump on the Christmas season. 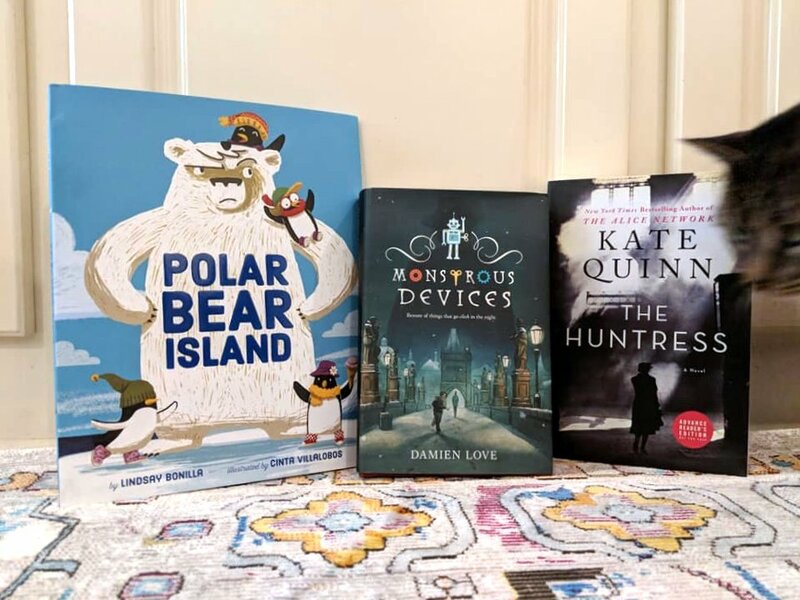 I love Christmas books and I'm really looking forward to reading that. As always, a good week throws me behind in the reviewing. It's funny how that goes. If I'm having a bad reading week, I'm probably catching up nicely on reviews. 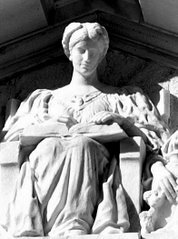 If I'm having a good reading week, I'm happy because I'm having a good reading week, even if that means the reviewing suffers. So, it's a glass half full situation. Something is always going right. I read a little bit of Crux: A Cross Border Memoir by Jean Guerrero, this morning. But, I'm not yet sure if it's going to stick, so I'm going to say I'm between reads. I haven't officially settled on anything at all. Worth noting: the author of Sons and Soldiers dropped by to mention that Sons and Soldiers is being made into a limited TV series. I guess that's another way of saying "mini series"? At any rate, I'm excited about that because it's excellent and one of my favorite books of the year. We've temporarily got access to the Hallmark Channel, so I've been bingeing on sappy romances, including one that starred Meghan Markle (first time I've actually seen her act), The Dater's Handbook. I liked them all. They make my husband's eyes roll, and yet he doesn't leave the room, so there must be some appeal in the predictability of these movies, even for my "Ugh, I can't stand romance," husband. We also tuned in to see the new Doctor Who, yesterday, and both enjoyed Jodie Whittaker in the starring role. 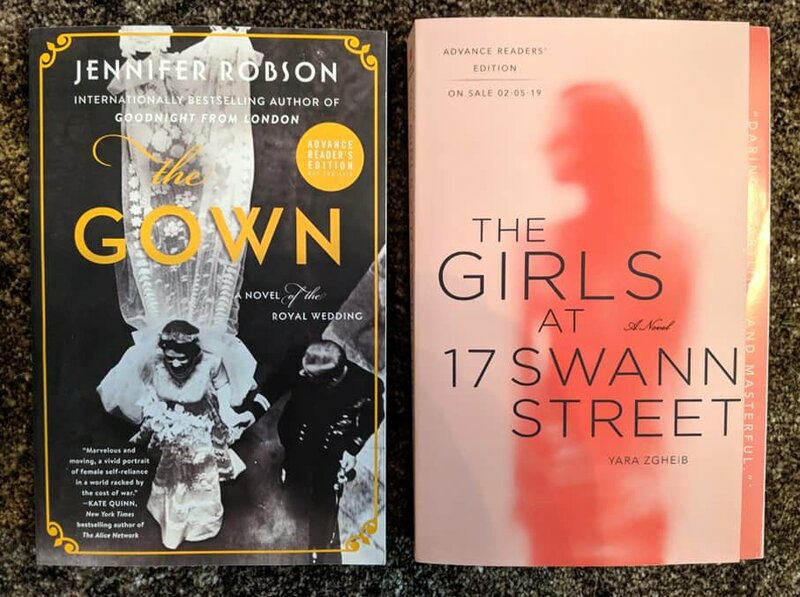 The Kennedy Debutante by Kerri Maher begins in 1938 as Kathleen "Kick" Kennedy is on the verge of her debut in London, where her father is ambassador. The Kennedys have already made a splash and are well-known, but Kick's debut goes swimmingly. Kick loves London and is quickly embraced by a wide circle of upper-class friends, both American and British. But, there's one particular Marquess who has caught her eye. Billy Hartington, the future Duke of Devonshire, is tall, handsome, and reserved. But, he's also a Protestant and the Kennedy family is Irish Catholic. Both her mother, Rose, and his father are against the pairing. Kick and Billy are aware of everyone's reservations, but Kick is determined to create her own path. And, she is drawn to Billy from their first meeting. Against a backdrop of impending war, Billy and Kick attend parties and Kick does charitable work, enjoying the company of their mutual friends and each other while ignoring the concerns of friends and family. But, war is inevitable as Hitler's army spreads across Europe. After Germany and Russia sign a non-aggression agreement and Hitler invades Poland, Billy joins the army and Kick is forced to go home to America. Will their love survive being separated by an ocean? What will energetic Kick do to fill her time, back home? When Kick decides to return to England, will she succeed? If she and Billy marry, how will they handle the religious problem? I read up a little on Kick Kennedy before reading The Kennedy Debutante, so I knew the general outline of her life and enjoyed having the rest filled in. Recommended - The writing in The Kennedy Debutante leans light, as in easy reading, but it appears to be very thoroughly researched if a bit heavy-handed, on occasion (emphasis on sister Rosemary's erratic behavior, for example, was pushed a bit hard without really leaving me with a feel for what exactly her problem was, whether it was mental illness, Attention Deficit Disorder, or simply a personality the family couldn't handle). What I liked most about The Kennedy Debutante was the glimpse into life as a Kennedy and the time period in which it's set, both of which I thought were handled nicely and stuck what I know about both the war and the family. The story doesn't go all the way to the end of her life, but I also thought the author chose a good place to stop. 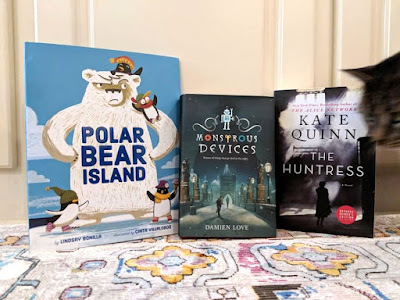 I'd particularly recommend The Kennedy Debutante to fans of historical fiction, people who are interested in the Kennedy family, and those who enjoy a tragic romance. 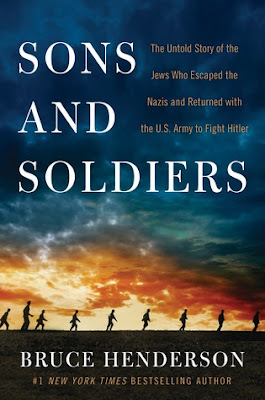 The subtitle of Sons and Soldiers by Bruce Henderson is: The Untold Story of the Jews Who Escaped the Nazis and Returned with the U.S. Army to Fight Hitler. The book begins by telling the stories of a handful of those escaped Jews, all of whom were boys and all of whom left their entire families behind (although one father and his second wife were later able to escape). Sons and Soldiers is thorough and well researched and therefore a slow read, but for good reason. Each of the stories of the boys who escaped is told beginning around the time Hitler came into power. You really get to know the boys, their families, and the atmosphere in which they grew up -- how they were a part of their villages or cities but slowly, as the Nazi fervor grew and the laws restricted their schooling, their jobs, their finances, their freedom of movement, and everything else about their lives, things became more and more dangerous. One of the boys was imprisoned in a concentration camp, early on, and then escaped to England, only to end up being declared an enemy when Britain entered the war and put into another camp. Another ended up in an orphanage after his father lost his wife and his livelihood. Gradually, each of these boys were sent to the United States -- some saved by organizations, all with some form of help by way of sponsorship in the U.S., often after reaching another European nation, first. Finally, they all ended up in the service, eventually trained in the same program, in which their skill in German and sometimes other languages singled them out for training in interrogation. They were known as "Ritchie Boys" and Sons and Soldiers tells about their training, how each of them entered the country, and how they contributed crucial intel during the Invasion of Normandy, the Battle of the Bulge, and other battles. 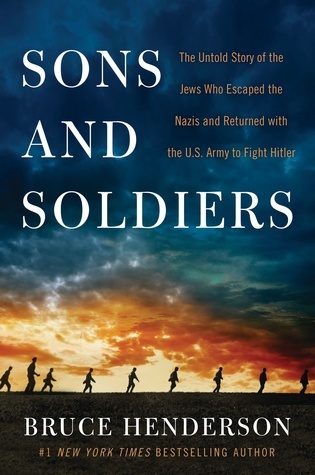 Highly Recommended - Sons and Soldiers is an exceptionally in-depth but immensely readable book. 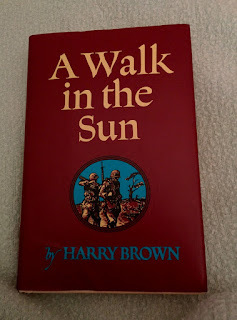 I loved the way the subject was handled, introducing the reader to each of the boys before following their lives in the United States and then their training, return to Europe, and the work they performed interrogating captured Germans. Because they needed to get information out of the captured Germans as quickly as possible, they were stationed near the front lines, where they were subject to tremendous danger. At least one of the young men parachuted into enemy territory after only a single lesson. All were determined to do their part to free Europe from Hitler and many hoped to find family. Sons and Soldiers is told factually, and yet it's a tremendously moving, emotional read because you get to know the soldiers so well, first as boys and then as young men. You know who they left behind and, often, when they last heard from family members. You're there with them when they're captured by the Germans or hit by shrapnel, when their friends are blown up or executed, and when they walk into the concentration camps at the end of the war and discover the horror their relatives likely suffered. Stephan, Gunther, Martin, Manfred . . . each of them will take a place in your heart. I really appreciated the fact that the author wrapped up their stories with a final section on the remainder of their lives (some still living) to the time of publication. Note: Even the endpapers of this book have meaning. Inside the front cover of the hardback are photos of each of the boys with their families. Inside the back cover: photos of them as young men, after the war (their are additional photographs scattered throughout the book). Those who were able to find family members are shown with them. Two of those were among my favorites of the month. It was so refreshing to sink into Simon's gorgeous, melodic prose. I love his short stories. Sons and Soldiers took me forever to get through but it was also a 5-star read, although a difficult one because it told stories of love and loss so vividly. You really get to know the young German men who escaped their home country without their families and then returned as American soldiers. I am almost done with A Brown Man in Russia, which I didn't touch till last night because I was focusing on the other books. I'll finish that, tonight. 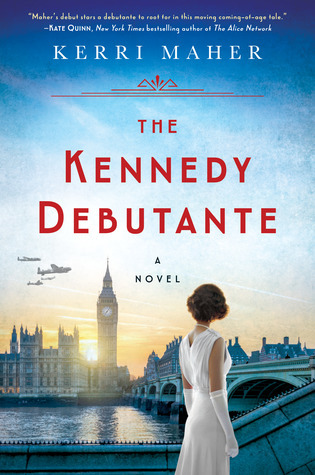 The Kennedy Debutante is a fictionalized telling of Kathleen "Kick" Kennedy's time as a debutante in London. I'm not sure how far it goes in time. 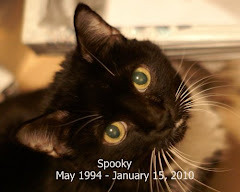 I really didn't know a thing about Kick, so I read up a little and discovered that she died quite young. It's nice, light reading after the heaviness of Sons and Soldiers, which starts with the horror of living as a Jew in 1930s Germany and ends with each man's discovery of what happened to his family. We're on Season 7 of Doc Martin, I believe. Martin and Louisa have finally married. I keep thinking, "This is as far as we got, when we watched Doc Martin in the past. 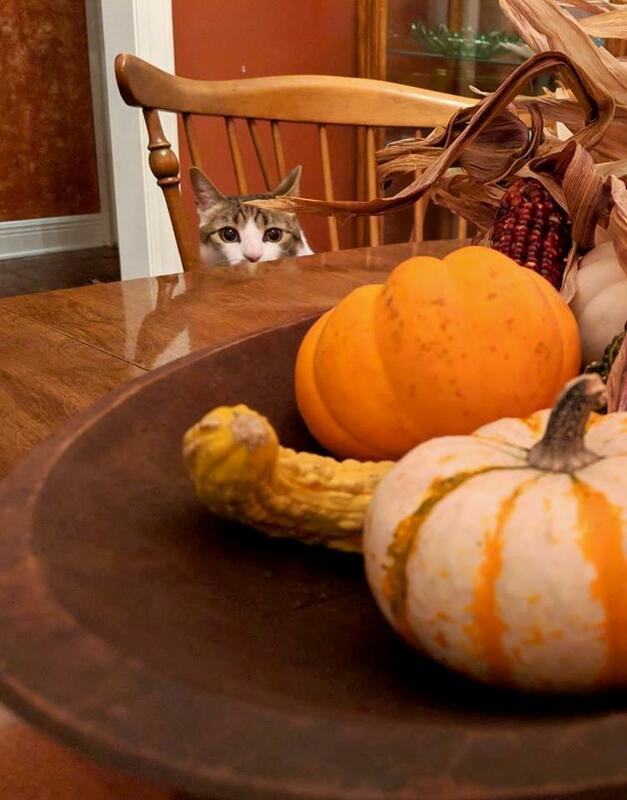 No, this is as far as we got." I'm just going to have to give up and admit I have no idea where we left off (the more recent seasons have only been viewed sporadically, so it makes sense that I don't know what we've viewed). At any rate, I'm glad they've finally gotten hitched. I spent all of Thursday riveted to the TV and the rest of the time my focus has been on making it to the gym. In fact, I drove to the gym during a break in the Kavanaugh hearing and only missed a few minutes on the return home. The rest of the week was not a TV/movie week. And, the rock I'm painting, right now, is supposed to look like a kiwi slice on a purple background. I even dreamed about finding one of the local rock decorator's creations, last week. We have a local who decorates her rocks with moss, glitter, and little figurines, rather than painting them. They are so cool! I haven't gone looking for rocks, yet, but I'm hoping someday I'll find one of Savannah's rocks.